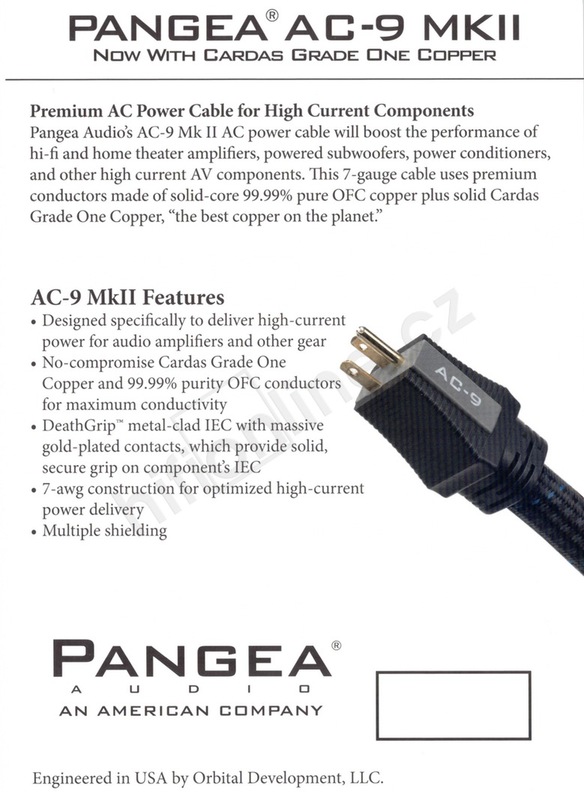 Pangea Audio's AC-9 high current power cable has been one of our bestsellers for years. And now this high performance, affordable cable gets a nice performance boost with the AC-9 MkII version, thanks to the addition of premium Cardas Grade One Copper. 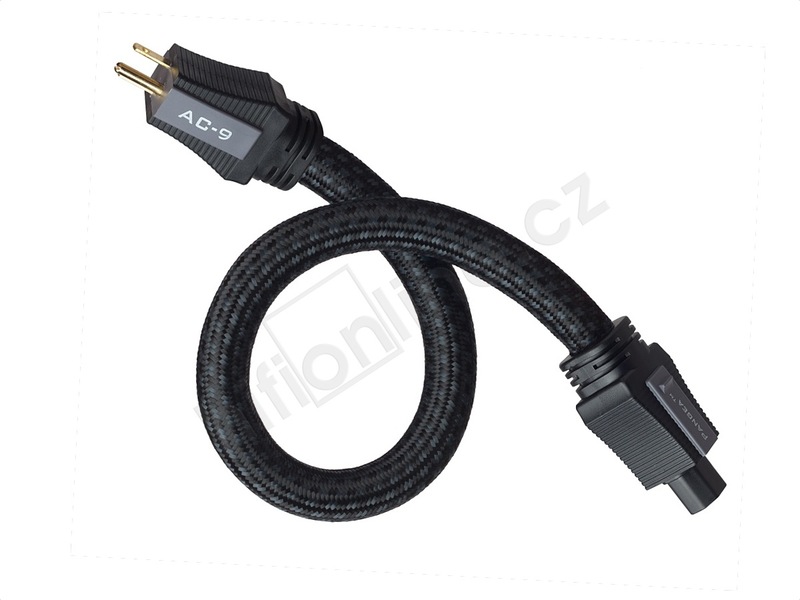 It's the affordable AC power cable of choice, for hi-fi and home theater amplifiers, powered subwoofers, and other high current AV components. This cable is terminated with a high-quality Schuko-type AC plug common in many European countries. 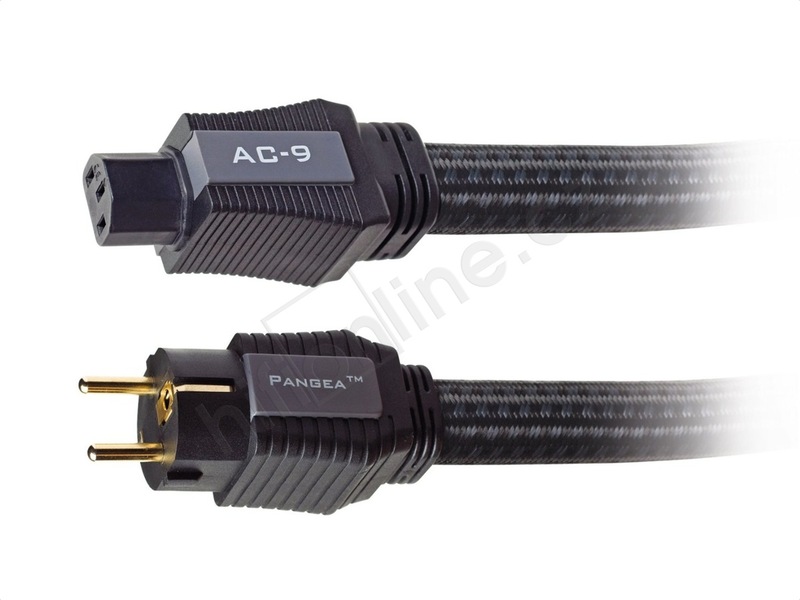 In spite of its name, Pangea Audio's AC-9 MkII high-current power cord isn't a nine-gauge cable. It's actually a seven-gauge cable, which means it's even heftier than the nine-gauge! (The lower the gauge, the thicker the cable.) This explains why our customers have been so wildly enthusiastic about the sound quality of this cable. The difference is especially noticeable in the bass, where the AC-9 MkII outperforms every cable we're heard under $200, and most cables under $500. "Quite Simply the Best Copper on the Planet"
The original version of AC-9 used 99.99% purity OFC copper conductors. The new MkII version goes a substantial step further, upgrading to a combination of OFC copper and no-compromise Cardas Grade One Copper, which George Cardas of Cardas Audio developed for his own premium cables. George’s copper is mined in Arizona, then shipped to a New England factory where it is very S-L-O-W-L-Y drawn into conductors in a process that includes reduction annealing between steps to further purify and meld the copper into what George calls "the most amazing audio conductor I have ever experienced. It is quite simply the best copper on the planet." "The bottom line is that the best phono cartridges manufactured in the world, the best transformer winders, and the best cable manufactures in the world are converting to this smooth sounding Cardas Grade One Copper," George reports. "It is simply stunning how using a combination of space age technology (reduction annealing) and ancient drawing process (diamond dies and a slow multi stage annealing) can result in such a refined product." The combination of Cardas Grade One Copper and OFC copper conductors makes the AC-9 MkII an amazing component for the money, outperforming audiophile power cables that cost far more. So throw away the cheap, stock AC power cable that came with your AV component and make the easy, affordable upgrade to AC-9 MkII. It will bring out the best in your system. The AC-9 MkII has been designed specifically to deliver the high current needed by mono, stereo, and integrated power amplifiers. It's also ideal for powered subwoofers and makes a great choice for use with high-current-demanding line conditioners. Its combination of superior materials, advanced geometry, and noise-fighting shielding enhances the performance of connected components. Because of their high-current requirements, power amps benefit from heavier gauge conductors than normal power cords offer. Although the AC-9 uses large-diameter conductors, it requires less shielding than power cables that are designed for use with source components. Therefore, the AC-9 offers greater flexibility than other heavy-duty power cables. That makes it kinder to your gear and easier to work with. "You Don’t Always Have to Pay a Lot to Get a Lot"
"The AC-9 is a perfect example of the adage that you don’t always have to pay a lot to get a lot, notes Sean Fowler in his April 13, 2010 review of the original-model AC-9 for SonicFlare.com. "As I listen to the AC-9, I struggle to think of a time when I heard any other affordable power cord deliver such a natural presentation without committing some kind of damning caveat." The AC-9 MkII boasts conductors made from Cardas Grade One Copper and 99.99% purity OFC copper conductors for maximum conductivity. Its 7-awg construction facilitates high-current power delivery, while its five-way multi-gauge geometry optimizes 50/60 Hz AC power. Counter-spiraled conductors offer superior noise rejection. Double-shielded provides high-current noise isolation. The 24k gold-plated contacts offer superior electrical contact. Special two-shot molded connector bodies protect vital AC connections from oxidation and corrosion for long life. One weak link in the power chain that is often overlooked is the IEC connector. We had found a good one for our Pangea cables. It had large contacts and gripped firmly. Then Jay Victor discovered another IEC connector with massive gold-plated contacts that gripped a component's IEC better than anything he had ever seen. "It's like a death grip," reported Jay. "We need to use it on our high-end cables." We agreed with Jay, and the DeathGrip™ IEC was born. Pangea Audio's AC-14 was one of the first cables designed from the ground-up as a high quality power cable for audio gear. Veteran cable designer, Jay Victor, designed the AC-14 specifically for source components like preamps, CD players, DACs, etc. Jay kept the price low thanks to his expertise with manufacturing processes and materials and also by using high-integrity molded connectors. Introduced for only $30 for a 1.0-meter length, the AC-14 was intended as a replacement for the cheapo stock cable thrown in the box with almost any high-end audio gear. Soon after the Pangea AC-14 was introduced, something unexpected happened. Audiophiles around the country began reporting that the inexpensive AC-14 sounded better than other upgrade power cables costing five to ten times the price. Word of the AC-14's excellent performance spread quickly among audiophiles. Over the next few years, more than ten thousand AC-14 cables were sold. Pangea Audio's AC-14 was quickly followed by the AC-9. This massive seven-gauge cable was designed for the high-current demands of power amplifiers, powered subs, power conditions, and more. More advanced Pangea Audio cables soon followed. 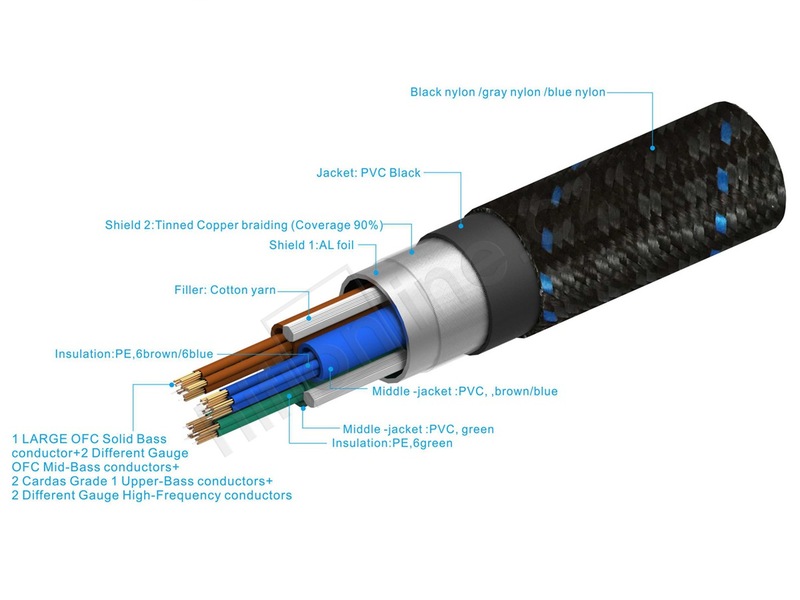 These newer cables featured better shielding and higher grades of copper for even better performance. These cables sold incredibly well until suddenly and without warning the Japanese manufacturer announced they were ceasing production of the two higher grades of copper used in these newer Pangea cables. With the Japanese copper unavailable, Pangea Audio discovered another form of premium copper that was being produced by industry legend George Cardas, founder of Cardas Audio. Some years earlier, George was unhappy with the quality of the copper conductors available for his high-end cables. He decided to produce his own high-end copper, which he calls Cardas Grade One Copper. Starting with the best available electrolytic copper mined in Arizona, Cardas very S-L-O-W-L-Y draws the copper into conductors in a process that includes reduction annealing between steps to further purify and meld the copper into what George calls "the most amazing audio conductor I have ever experienced." So what started out as a problem for Pangea Audio with the loss of premium Japanese copper has turned out to be a huge benefit now that the company has upgraded to no-compromise Cardas Grade One Copper. 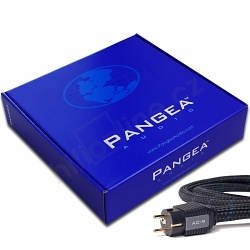 Pangea Audio power cables offer the perfect balance of power, shielding, and flexibility for audiophile components. These cables have been designed, not from the AC wall outlet to the component, but the other way around – from the component to the wall outlet. The result is a cable that not only fully satisfies the 'real power requirements' of audiophile components, but which also delivers improved performance for both power and component isolation. Pangea's 'component to the wall outlet' design results in a better cable that's designed just for the component you want to power. The cable gives you precisely what you need - no more and definitely no less. Until now, all upgrade power cables have been designed according to a 'more is better' philosophy, leading manufacturers to increase the diameter of the conductor and the thickness of the insulation in an attempt to improve performance, but at the expense of flexibility. The resulting thick, noncompliant cables put a severe strain on the chassis of connected components. Heavy, inflexible cables can also reduce the effectiveness of component isolation and suspension systems. Because power amps do benefit from heavier gauge conductors, the AC-9 MkII is thicker than its smaller sibling, the AC-14. However, it is only as thick as it needs to be for maximum performance, and it is still more flexible than competitive AC power cords. Slovo konstruktéra značky Pangea Audio LLC ..
"Silové kabely vyžadují speciální konstrukční aspekty," říká inženýr, hudebník a celoživotní hudební fanatik Jay Victor - generální ředitel společnosti. "Já přistupuji k napájecím síťovým kabelům, jako by to byly kabely určené k subwooferu, protože střídavé napětí má frekvenci 50/60 Hz” říká Jay .. “ Takže jsem věnoval zvláštní pozornost vlastnímu vodiči, který musí být navržen tak, aby zvládl přenos nízkých frekvencí. Přenos vysokých frekvencí by měl být potlačený, protože představuje nežádoucí “šum” v tomto typu kabelu”. Pokud jste milovníci hudby, je pravděpodobné, že jste se prostřednictvím kabelu nebo jiného AV komponentu s prací Jaye již setkali. Je držitelem cca 40 patentů v oblasti kabelové geometrie a konstrukce konektorů a je jedním z nejvíce inovativních zákulisních postav v hi-fi světě. Před založením Orbital Development, stál Jay u zrodu nových produktů jako vývojový manažer u nejznámějších kabelových výrobců v USA a byl nápomocen u zrodu stovky produktů v průběhu zhruba pěti let. Jeho předchozí praxe obsahuje též dvanáct let intenzivní inženýrské práce v oblasti x-ray kabelů a kabelových svazků, patentované konstrukce konektorů na vědeckých a laboratorních přístrojích. Všechny Jayeovi konstrukce kabelů jsou hodnoceny pomocí testovacích přístrojů, ale konečné rozhodnutí následuje až po intenzivních poslechových testech srovnáváním s referenčními návrhy a živou hudbou, kterou máme všichni zakořeněnou hluboko v mysli ..